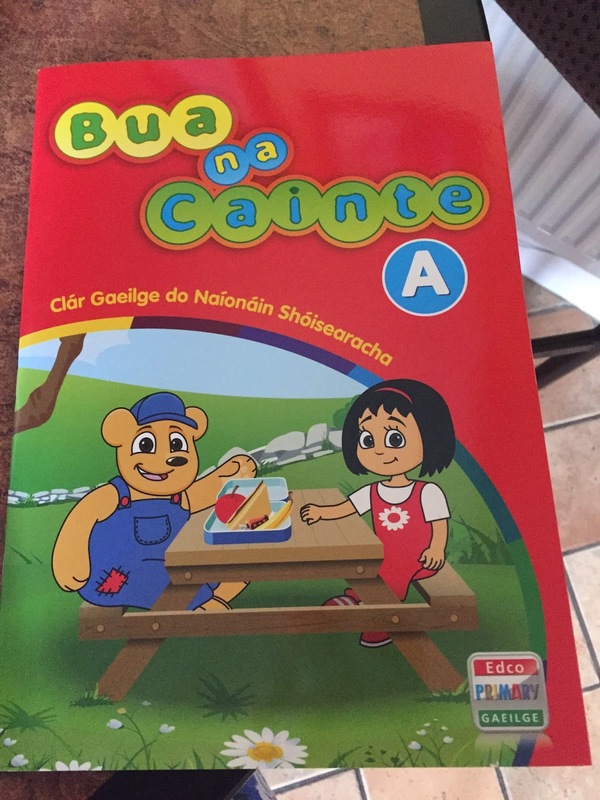 I was very impressed with the Bua na Cainte programme when I attended the launch night a few weeks ago so I contacted EDCO Ireland for further information about the programme, the cost involved (for the interactive resources) and the teachers books. The lovely people at EDCO sent me copies of the teachers books and students books and trials of the interactive resources. 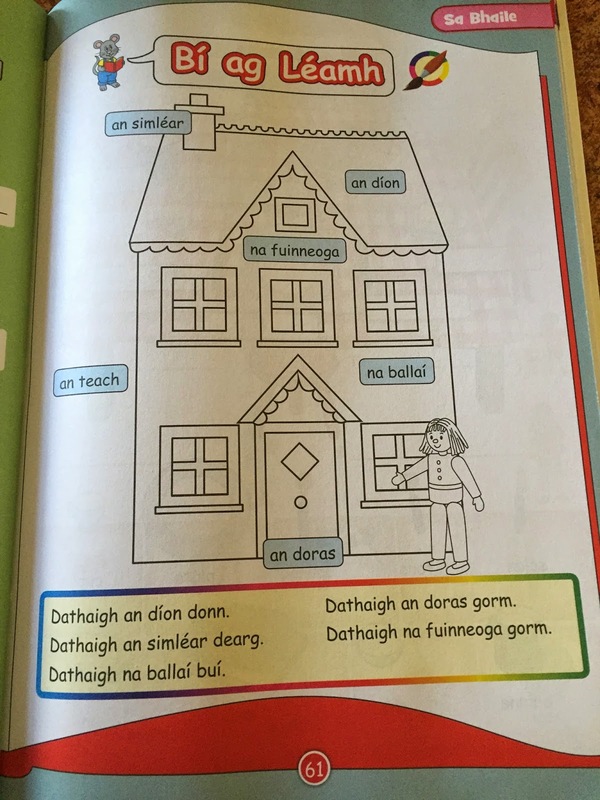 This is the front cover of the book where you can see the characters Niamh and Teidí. 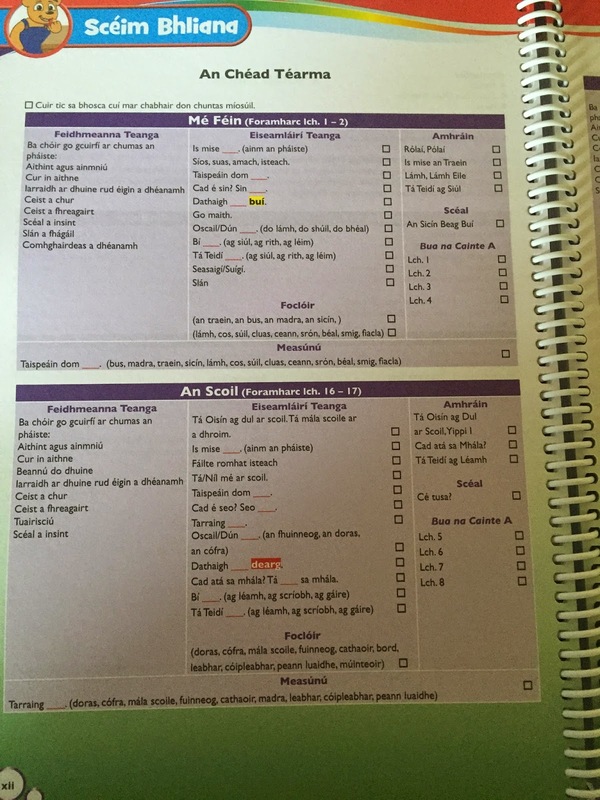 The inside cover has the contents and a key – this shows the wide range of activities that are available in the pupils book. 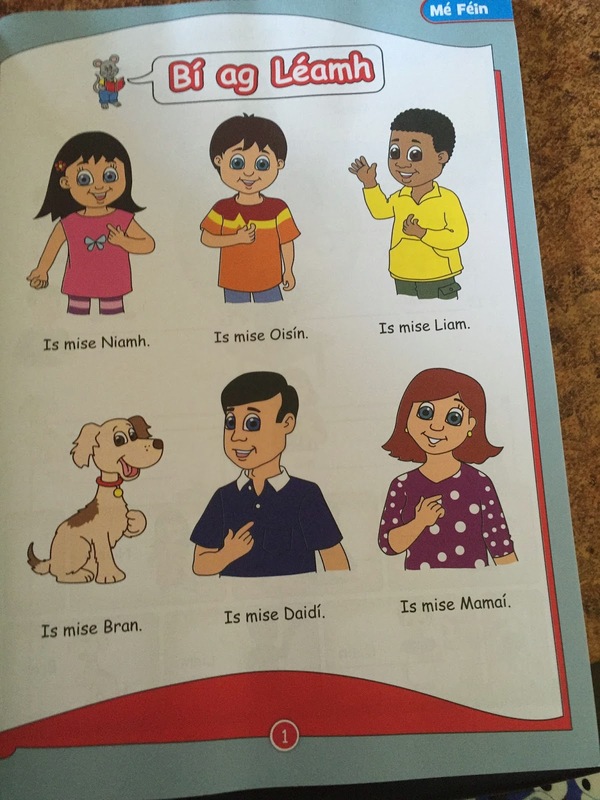 The first page of Mé Féin. 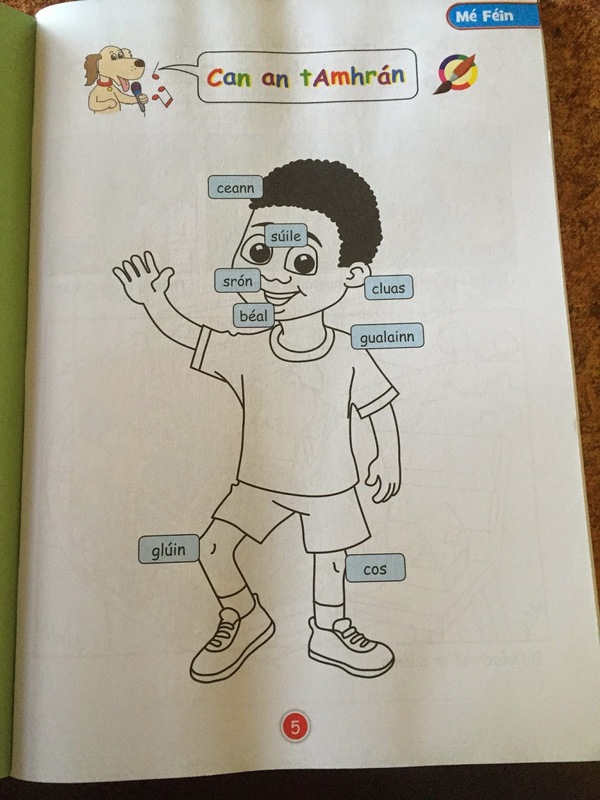 The yellow box at the bottom shows the home school link. (Is mine ________. 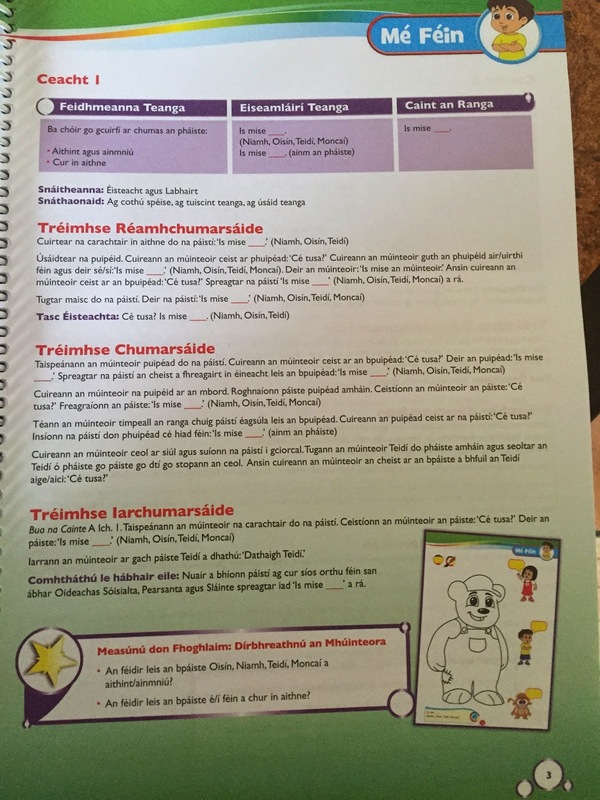 (Mamaí, Daidí, Teidí, Moncaí.) 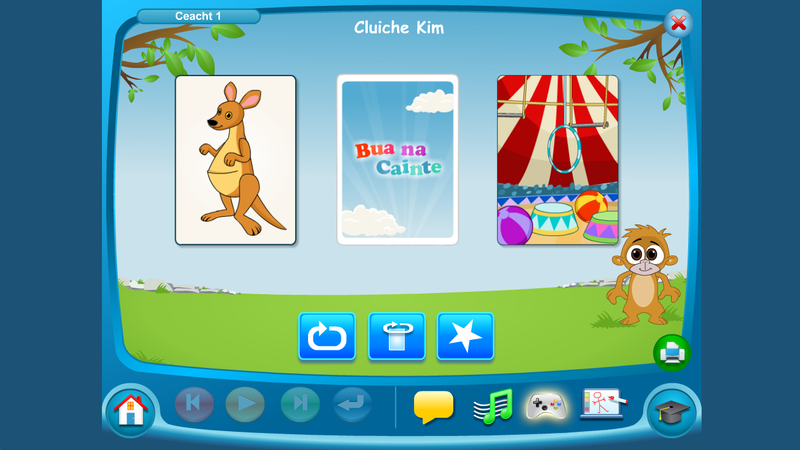 Children learn the vocal and phrases in school and can then practice these at home with their parents/guardians. 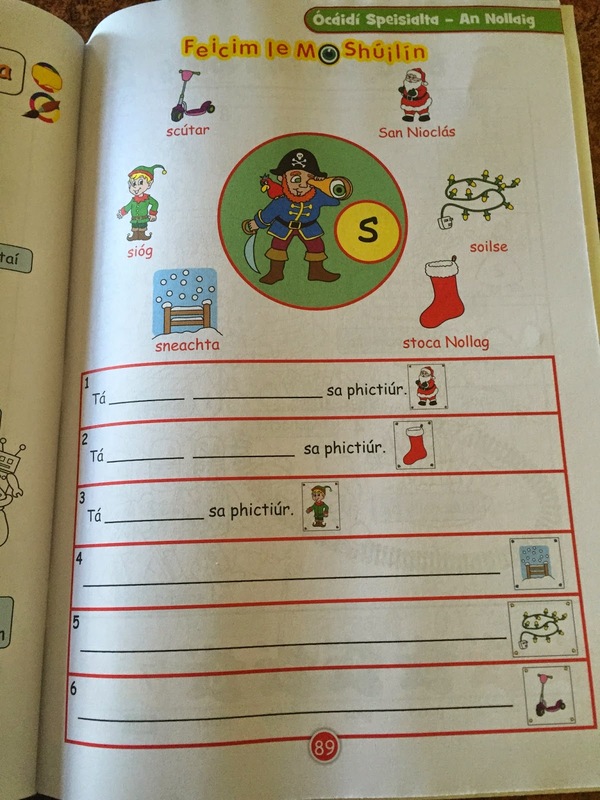 This page relates to the theme of An Scoil. The picture is colourful and interesting. The yellow box at the bottom contains the home school link once again. 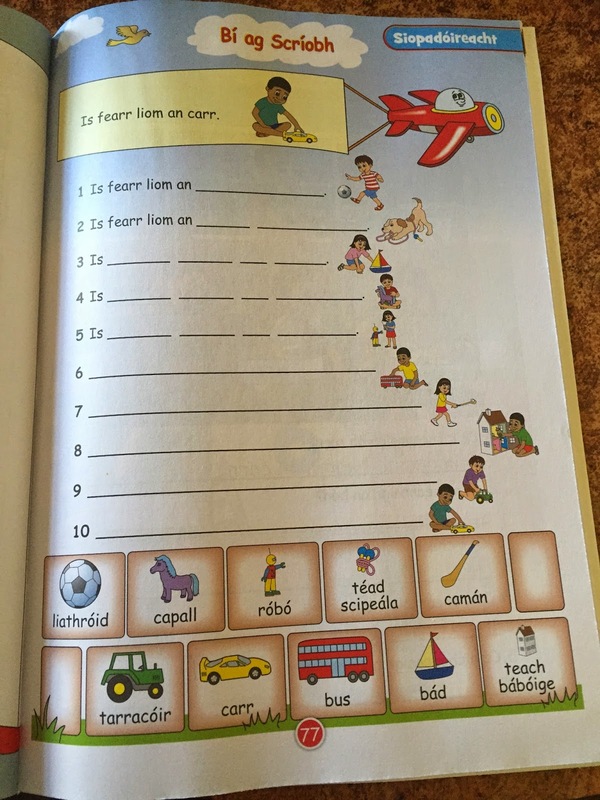 This page on Eadaí has a listening and matching activity. 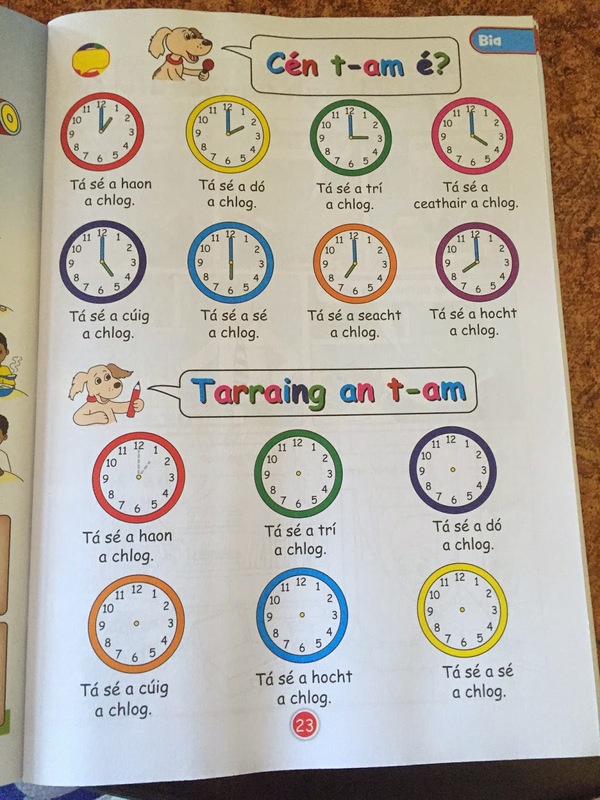 The teacher reads – Tá an hata salach and the children then circle the hata salach! 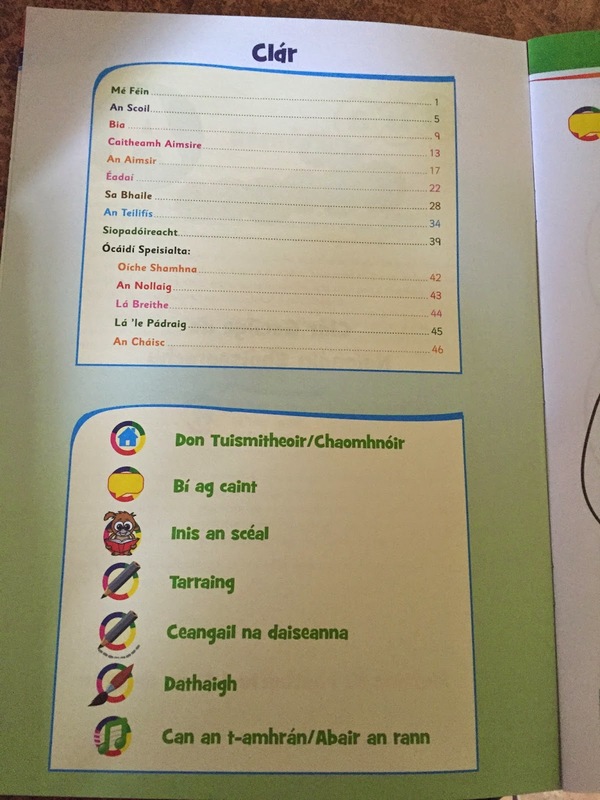 Here you can see the first page from the senior infants book. 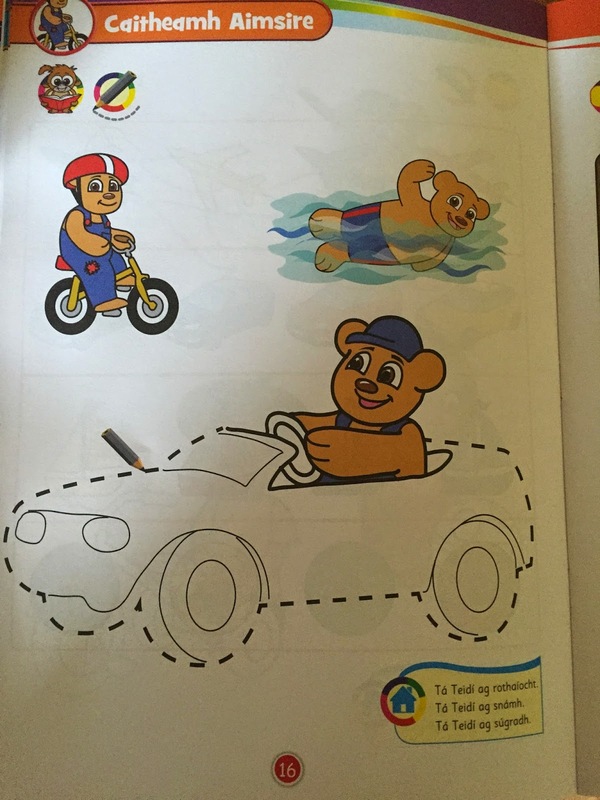 There is clear progression in the language. 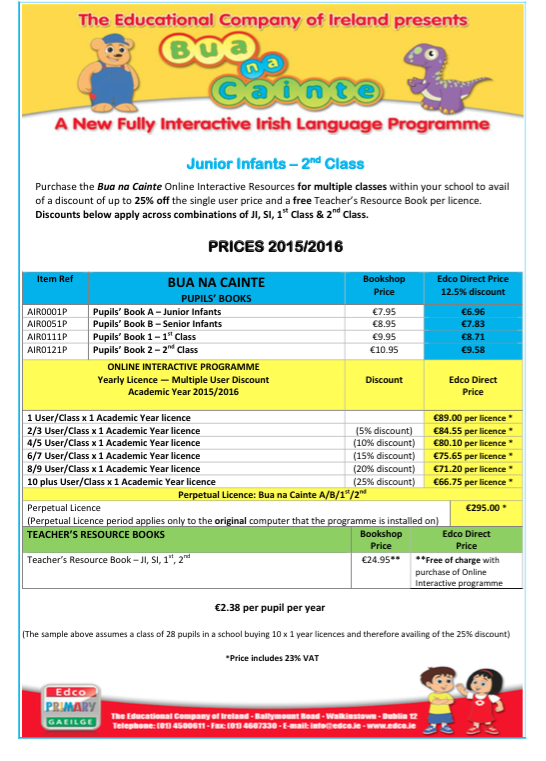 Junior infants – Mise __________. 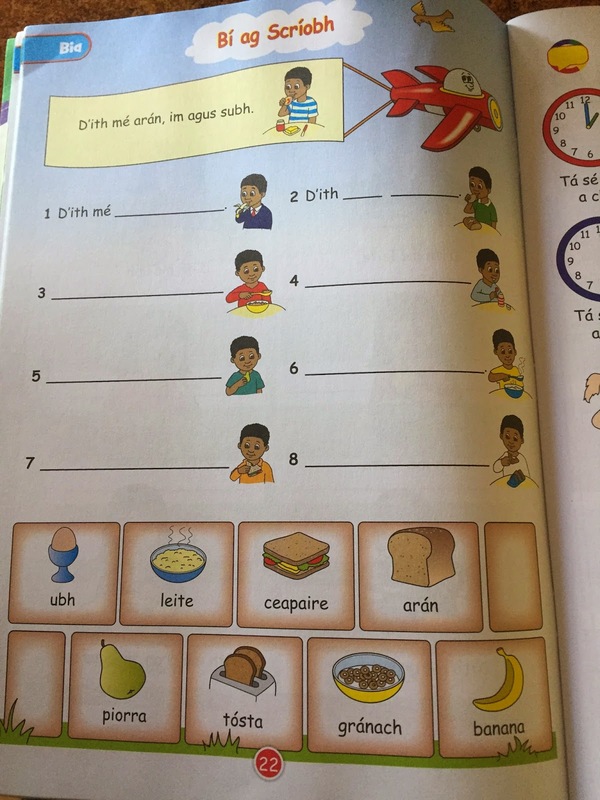 Senior Infants – Cé hé sin? 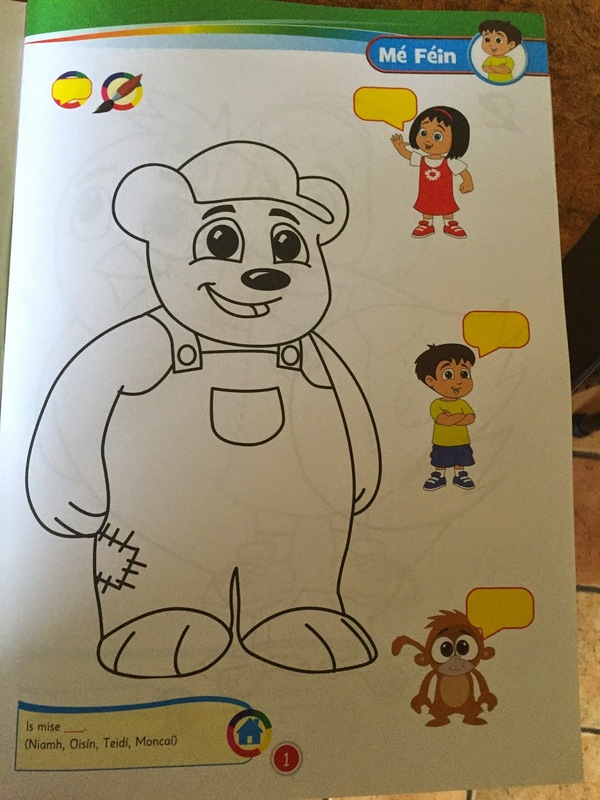 Sin é Daidí. 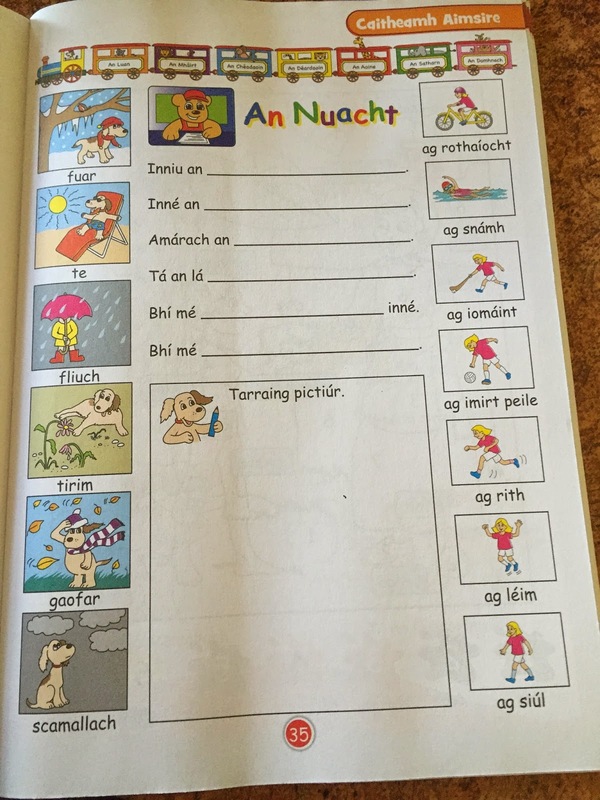 Children in 1st class begin reading and writing – as gaeilge. The first term… expertly laid out and very easy to follow. 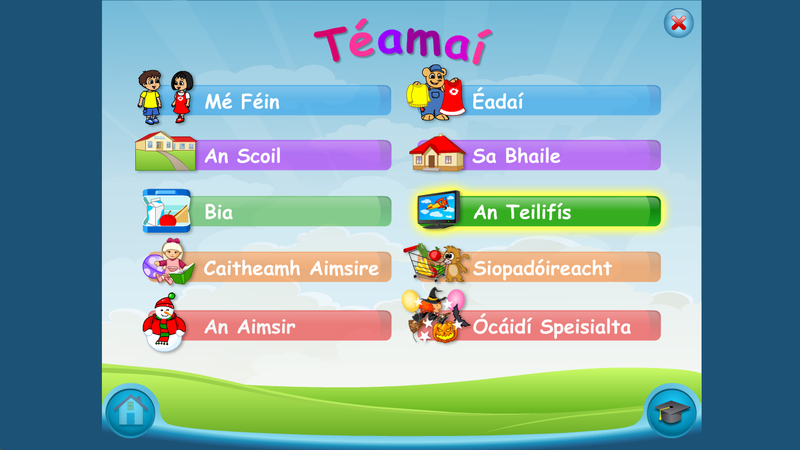 Here you can see the feidhmeanna teenager, eiseamláirí teenager, amhráin, scéal, poster (which you can download from the achmhainní section of the interactive resource) as well as the foclóir that you need to teach. 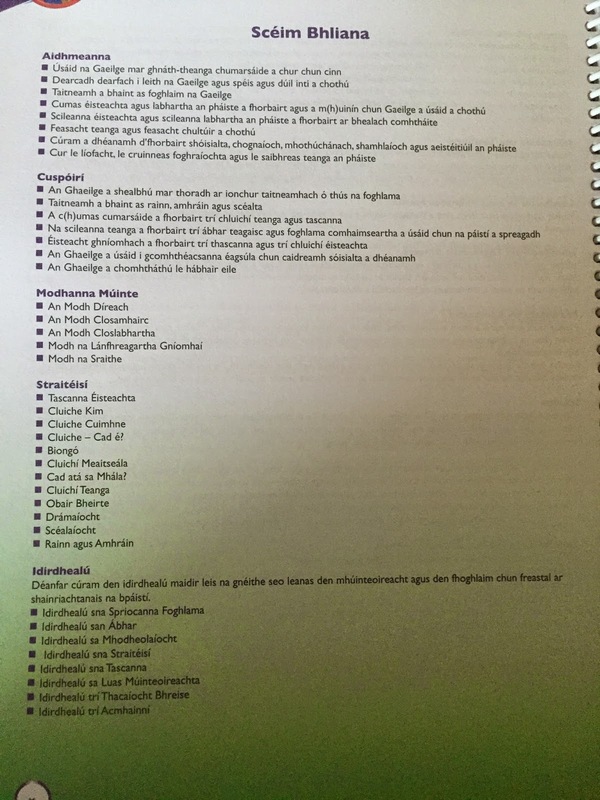 There is also a section for assessment. 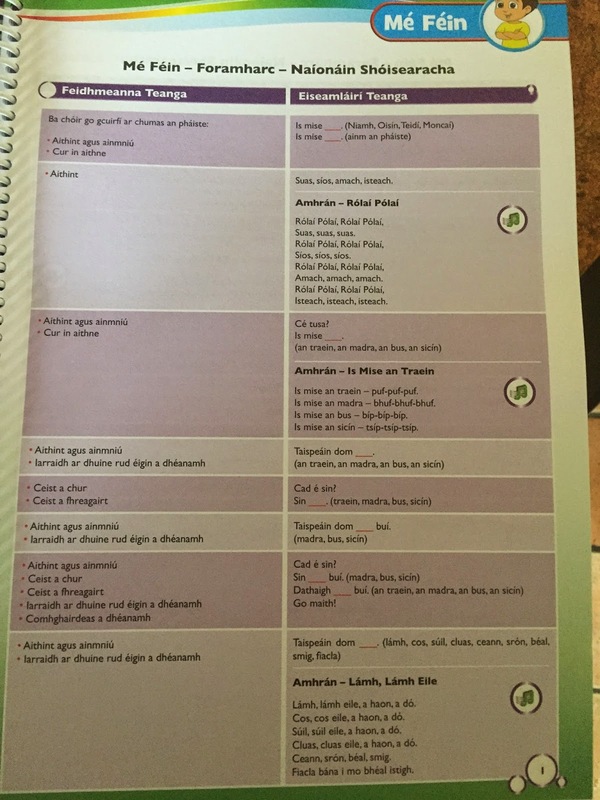 Here you can see each lesson planned out – the intro, development, conclusion – theres also a mini version of the page from the pupils book as well as the assessment section. 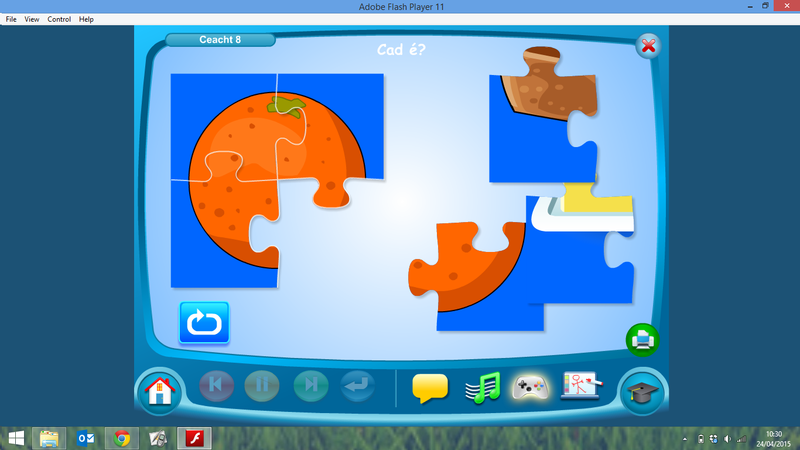 Here you can see screen shots from the Interactive part of the programme. Overall, I think this programme is absolutely fantastic and if I was teaching junior classes I would definitely use it. 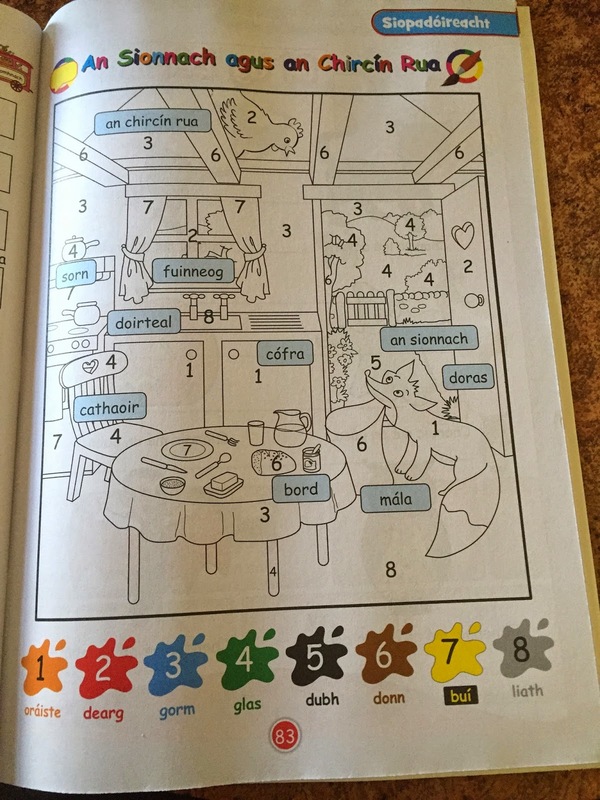 The characters – Niamh, Oisín, Liam, Bran, Daidí, Mamaí, Moncaí and Teidí are fun and appealing to young children. They even ‘grow up’ from infants to 1st and 2nd class! 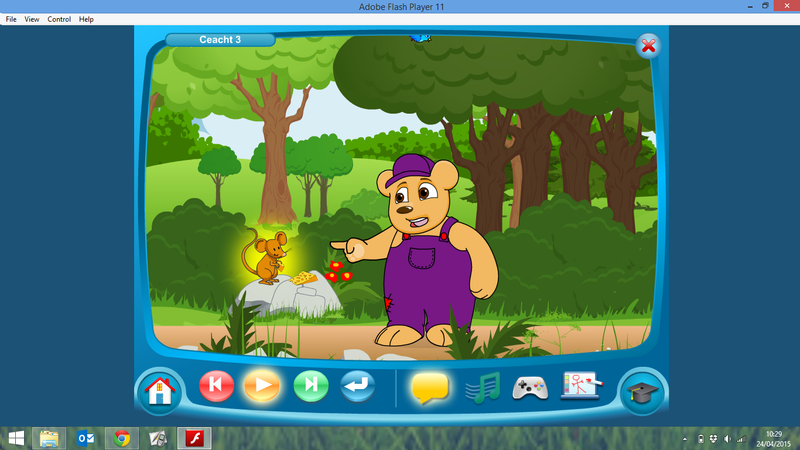 Each lesson is interactive with games, stories, and activities on the interactive whiteboard. 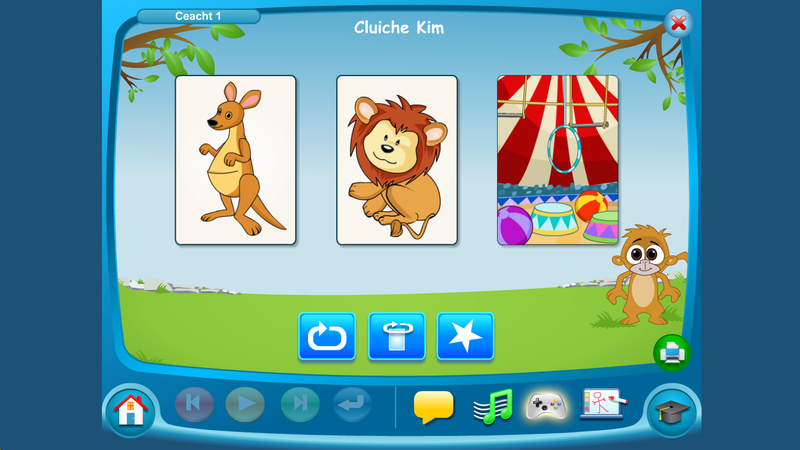 For teachers – the teachers resource book is expertly laid out for the year, term and then for each lesson (Each theme has between 6 and 12 lessons). 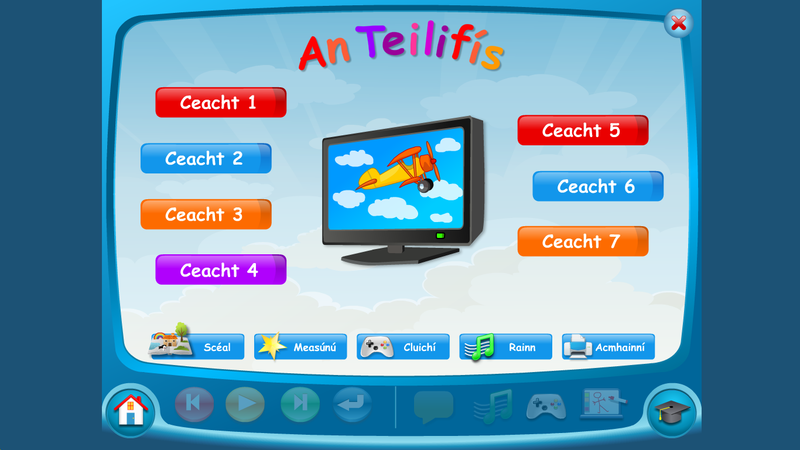 At the beginning there is a section of Gaeilge Neamhfhoirmiúil that you can use throughout the day. Below you can see a price list. 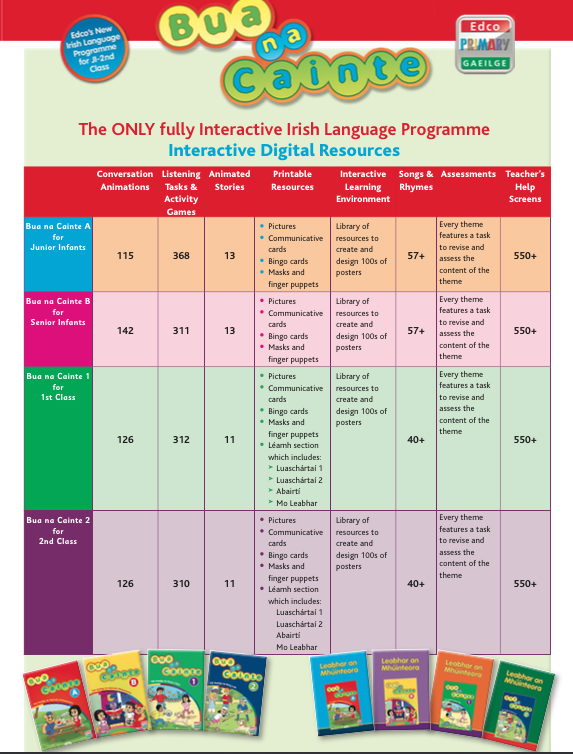 Here you can see the amount of interactive resources available!